Mardi Gras 2019, Eureka style. More beads!! Come and join the fun. Parade rolls at 2:00 PM through downtown. 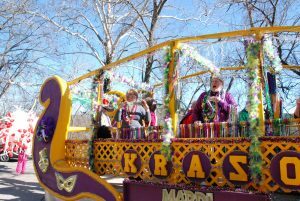 Visit http://www.eurekaspringsmardigras.org fora full schedule of events.